Tips for recording vocals at home?Tips for recording vocals at home? You need to record a song or a demo? You’re tired of spending money on renting recording studios? You think that owning your home studio would cost you a fortune? 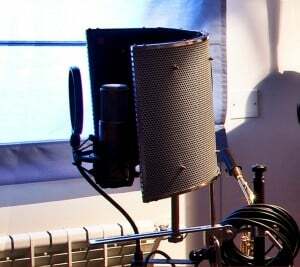 Nowadays, you can record your own songs and demos from home, with few expenses, without needing to be a sound expert to arrange all your studio equipment. MAC or PC for CAM: how to choose your computer? Which sound card to choose to get a professional quality and low price? What’s the best studio microphone for vocals? Choice of cables: why you must avoid cheap ones? What are the benefits of nylon and metal pop filters? Make sure you select the ideal microphone stand for optimal comfort during your recordings. Studio headphones: which ones are the safe bets? What are the benefits of monitor speakers? Make your home studio: solutions for acoustic treatments at low cost. PC or Mac, it doesn’t really matter. We recommend to use the operating system you are used to work with. Your home studio computer has to have a specific CAM (Computer-Aided Music) configuration. You’ll need to have enough RAM; you’ll see it’s going to be useful in the future. You can work with a desk computer but if you have a laptop, it can work too. Also, we recommend you to boost your machine with a SSD card which will enhance the performance of your internal hard drive. Note: you should also try to get at least one external hard drive to save your future recordings which will require quite a lot of space. We recommend you not to use the original sound card of your computer. For voice pick-up, a card with 2 inputs/2 ouputs are more than enough to achieve a stereo sound. The choice of the mic is important for quality voice recording. Forget about any 15 euro karaoke mic, you’ll need a studio mic, not more, not less. At the beginning and in general, you need to get a large-diaphragm microphone, either a condenser type or tube one. If you have a limited budget, you can find good value for money microphones around 200-300 euros with a semi-pro quality. 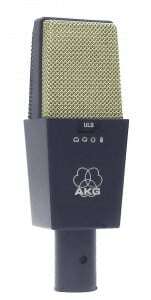 An AKG C3000 around 130 euros could work too. To reach a real professional quality, you’ll need to go beyond 500 euros. Most of the time, prices vary from 1000 to 2500 euros. And among the top ones, there’s Neumann U87 (around 2500 euros). Otherwise, you have Blue microphones with capsules which are cheaper and have a quality close to Neumann. Here are a few other references: Neumann U87ai, U89i and KM 184 (often used in pair for stereo pickups), Shure KSM44, AKG C3000 and C414. If you have the chance to test different microphones, you can narrow down your choice. In fact, it is said that each type of voice has its own corresponding mic. Your sound will be more or less clear depending on the mic you pick, in terms of nuance and equalization. As well, you have to note that with some microphones, sibilance (“sss” sounds emphasized like a whistle) tend to emerge more. Note: if you are in a noisy environment, cardioid unidirectional dynamic microphones can be useful but are rarely used for voice pick-up in any studio. The most common microphones of this type are the legendary Shure SM58 and Sennheiser 845. As regards to cables, you’ll need a XLR male/female cable. Many people are looking at low price cables but this is wrong and even if it looks like a detail, it is not. Let’s take good habits from the start. While recording, a good quality microphone cable will preserve any little detail and the slightest sound information from your microphone. Note: if you need a long cable, you’ll definitely need a high-quality one. For any vocal recording, you must get a microphone pop filter. It usually clips onto your mic stand and it is used to reduce popping sounds and any other sudden sound interference. We highly recommend you not to record without this filter because eventually, you will need to spend hours editing, correcting or deleting the “popping” sounds. There are 2 types of pop filters: in nylon and metal. 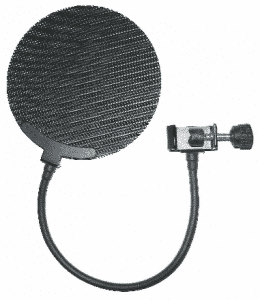 The nylon pop filter is formed of two nylon layers that will block air while the mesh metal screen of the metal pop filter will redirect air to the sides. Note: without pop filters when recording on hip hop beats, rappers will hardly get a clean sound because rap usually requires a percussive flow. In general, as regards to voice pick-up, you will need a straight microphone stand with a heavy tripod base for good stability, something quite essential for your installation to stand still. There are also microphone boom stands; the most important for you is to find the most appropriate stand to fix your microphone. In general, a straight stand is ideal for singers. Boom stands (with boom arms) are more practical if you record yourself singing and playing an instrument at the same time. They will allow to fix overhead microphones, in order to sing and play the piano freely for example. Note: if you are recording in a small place, you can also look for desktop microphone stands. They are also used to record bass drums and guitar amps. We recommend using closed-back studio headphones because open-back headphones would release unnecessary sound that your microphone could capture while recording. You can find some decent ones around 50 euros, but for serious work, the minimum price would be around 150 euros. Classic headphones used by musicians and singers for years are Sony MDR 7506 (around 110 euros). This one is highly reliable and we personally use them. Among other brands, you have: Beyerdynamic DT 770 Pro, Sennheiser HD-25 C II, AKG K 271 mkII, Ultrasone Pro 550 or Audio-Technica ATH-M50. What are the benefits of studio monitor speakers? If you plan on working a bit on mixing your song, you’ll definitely need dedicated monitor speakers. This will prevent you from exhausting your ears with headphones and allow you to feel the music in a different way. You will find good quality speakers for 150-250 euros (200-300 dollars). Otherwise, you can find average speakers around 80 euros (100 dollars). This part is optional; arranging the acoustics of your recording space is not an obligation at the beginning, you will see as you go. If you’re interested, you can look up on the internet but soundproofing panels and other acoustic foams won’t cost you a lot of money at all and it will help you greatly in terms of global acoustic treatment of your dedicated space. A Reflection filter would also be a good thing to have. You just have to cling it to your mic stand; it serves as sound absorbing panel. Note: Sound absorbers’ aim is to reduce sound reflection in your room. 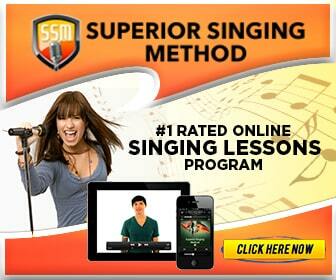 You now have the necessary equipment to record your vocals at home. If you have a larger budget, you could add a preamplifier but, in general, your external sound card already has a very decent quality. We suggest you to invest in this only if your budget allows you to do so, and after gaining more experience. The first and main mistake is to think that the equipment we have is never enough to achieve a professional quality. With a small budget, it is totally possible to make quality recordings without going in a big recording studio. If you do the math, you will see that it is financially more advantageous to invest in a home studio than to accumulate heavy spending in renting a recording studio. You now have all the tools to get one step closer to your dreams! Booming Brothers, team of French music producers. 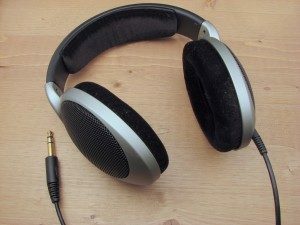 Sennheiser HD555 Headphones: By Adamantios via Wikimedia Commons under the license (CC BY-SA 3.0). Reflection filter: By Fanny_+_Alexander’s_Home_Studio.jpg: Noel Feans derivative work: Clusternote (Fanny_+_Alexander’s_Home_Studio.jpg), via Wikimedia Commons under the license (CC BY-SA 3.0). thanks for ur message,i’m really glad wiz ur free beatz u sent me. Big up to u.
next post: Where to get royalty free music for YouTube videos?